May 31st, 2009 by Big Fish Games in Walkthroughs. 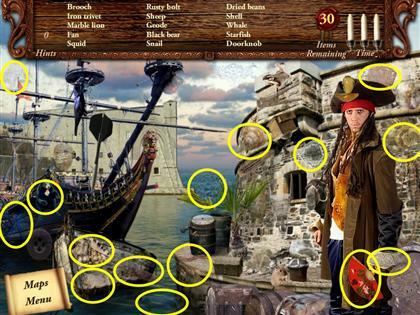 Welcome to the Lost Secrets: Caribbean Explorer Secrets of the Sea Walkthrough! The infamous pirate, Francis Lafitte was injured on his last plunder and needs to cash in some of his hidden treasure for medical care. He trusts only one member of his crew to retrieve the treasure: his daughter Anne! 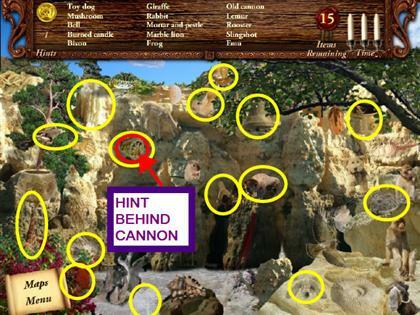 This document begins with General Tips & Tricks to get you started, followed by the complete Lost Secrets: Caribbean Explorer Secrets of the Sea game walkthrough featuring annotated screenshots from actual gameplay! This walkthrough was created by prpldva. 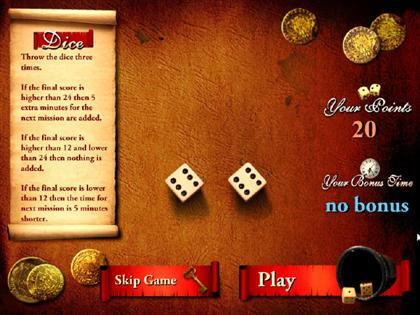 There are two modes of gameplay – Timed and Relaxed. When setting up your profile, you must check the Relaxed Mode box to play without a timer. 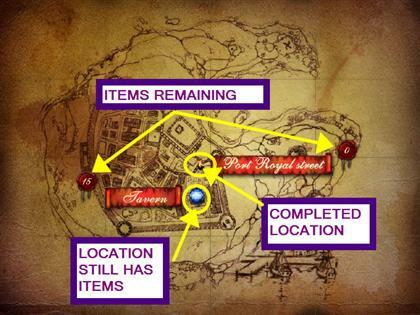 The Map screen shows the locations to investigate along with the remaining items at each location. Click on the gem or location name to access the search location. 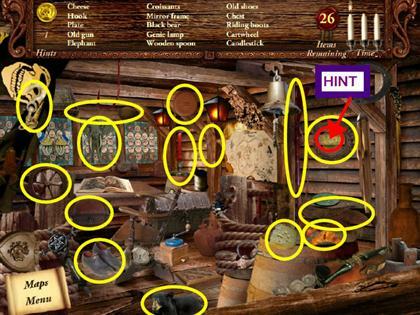 When playing the Timed Mode, the timer is in the upper right corner of your screen and is depicted by burning candles. 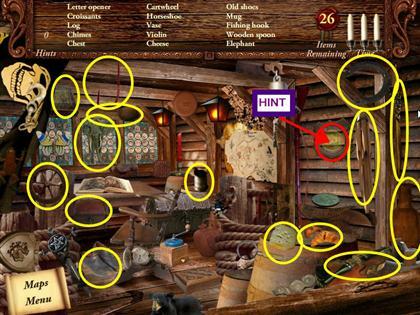 You start the game with three hints. 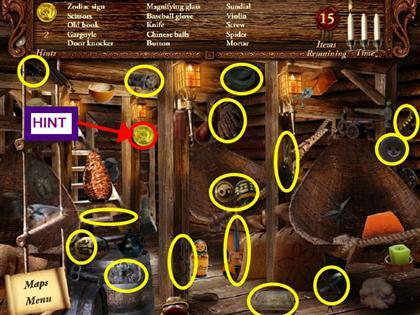 You can refill hints by locating gold coins throughout the game; however, there are very few, so use them sparingly. 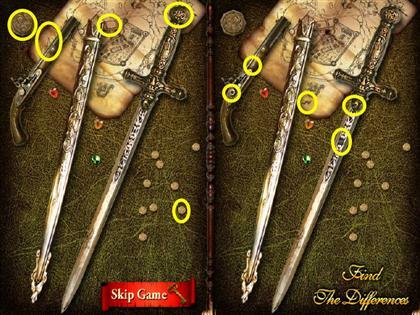 The use of each hint will deduct 45 seconds from your remaining time if you are playing in the Timed Mode. Incorrect clicks will deduct 10 seconds from your remaining time. 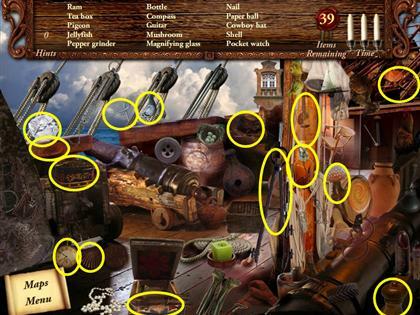 Once you have selected an item from the hidden object list, it will be grayed-out. 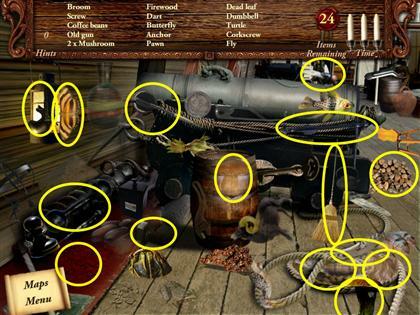 NOTE* The hidden object items are randomized, so your solutions may vary. 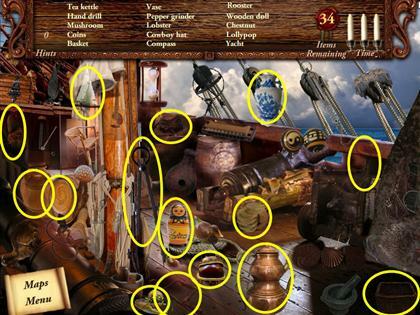 The Tavern – Locate the hidden objects listed in the upper banner. 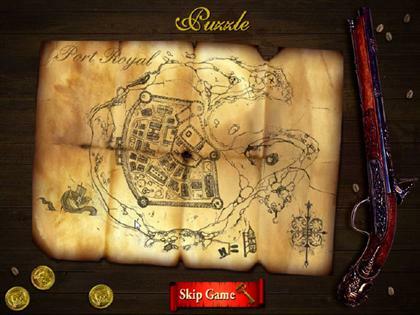 Port Royal Street – Locate the hidden objects listed in the upper banner. 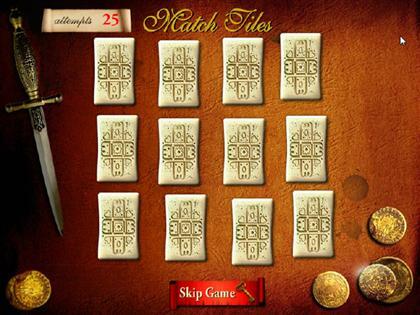 In this jigsaw-style mini-game, drag and drop the pieces to complete the map. Adjoining pieces will snap together. 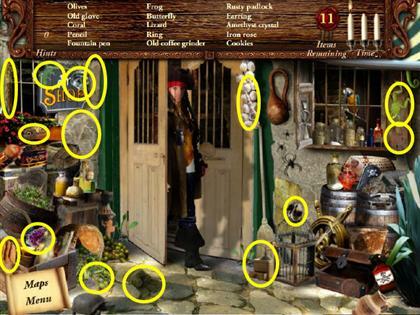 Barber Shop – Locate the hidden objects listed in the upper banner. The Black Ship – Locate the hidden objects listed in the upper banner. Search by moving the magnifier around the screen. 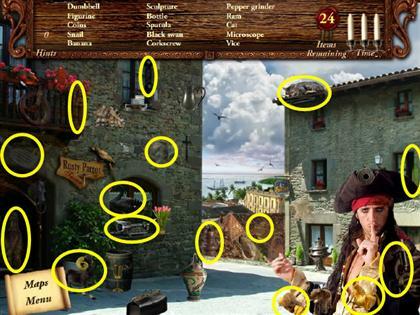 The Port – Locate the hidden objects listed in the upper banner. 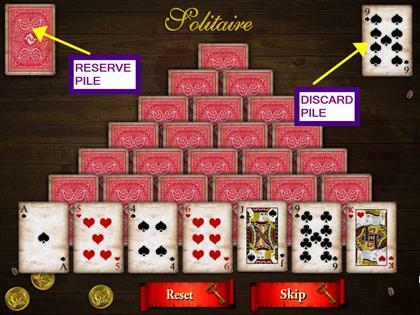 The object of this solitaire style mini-game is to remove all the cards from the pyramid by playing them on the discard pile in the upper right corner. You may only play a card that is one higher or lower in number. Kings can be played on Queens or Aces. Aces may be played on Kings or Twos. If no cards are playable, turn a card over in the reserve pile, located in the upper left corner. You can restart or skip the mini-game at anytime. 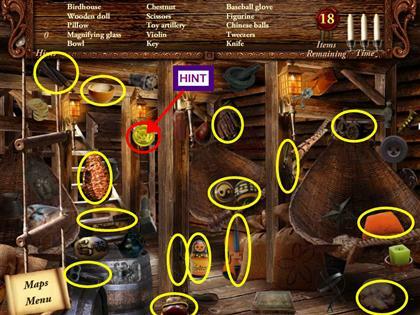 The Captain’s Cabin – Locate the hidden objects listed in the upper banner. 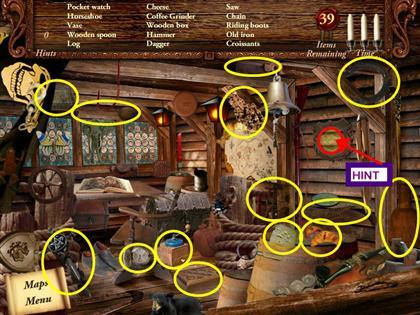 Crew Sleeping Quarters – Locate the hidden objects listed in the upper banner. 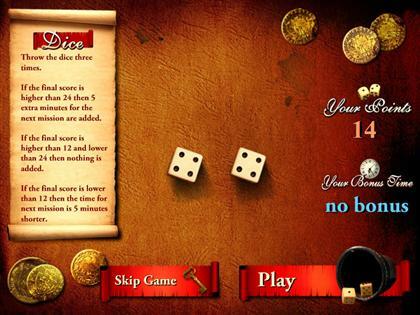 In this dice mini-game, the object is to get a score higher than 24 in three rolls of the dice. Succeeding earns an additional five minutes for the next mission. Earning below 12 will deduct five minutes from your available time. 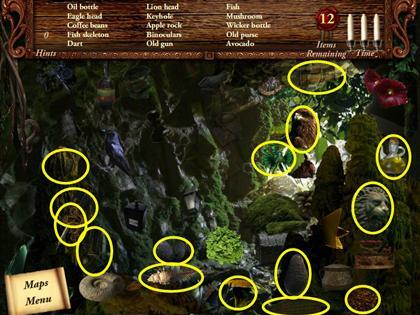 The Cave – Locate the hidden objects listed in the upper banner. 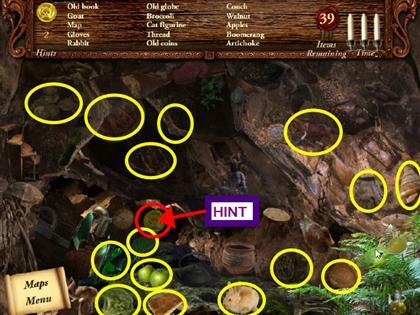 The Path Through the Jungle – Locate the hidden objects listed in the upper banner. 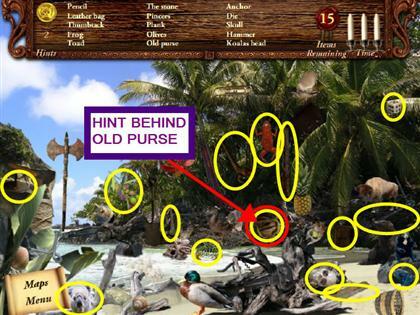 The Beach – Locate the hidden objects listed in the upper banner. 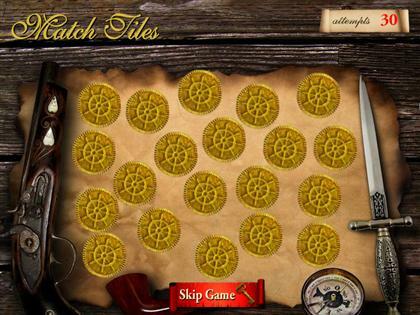 The object of this memory mini-game is to match pairs of tiles to remove them from the board. 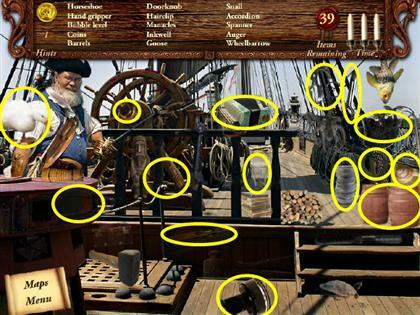 The Ship Deck – Locate the hidden objects listed in the upper banner. 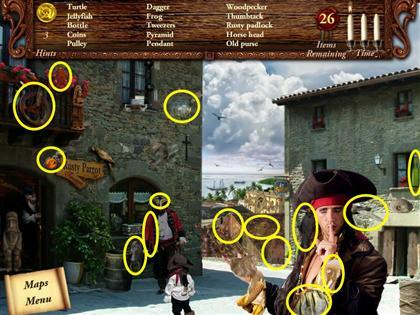 The Pirate’s Village – Locate the hidden objects listed in the upper banner. 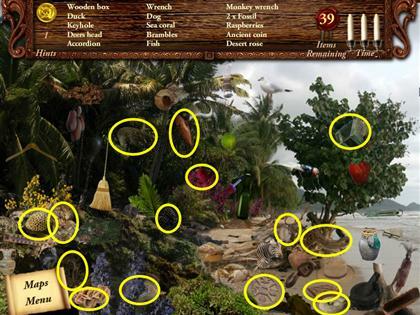 Rocky Island – Locate the hidden objects listed in the upper banner. 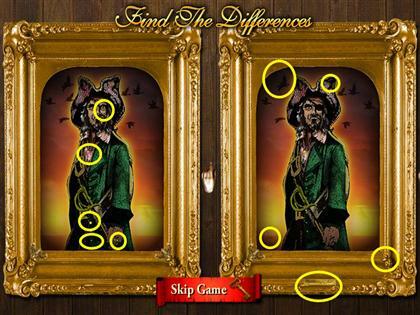 Find the differences between the two pictures in this mini-game. 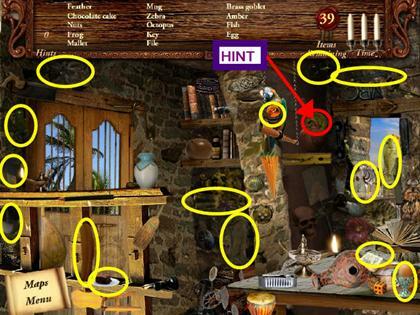 Inside the Caribbean House – Locate the hidden objects listed in the upper banner. 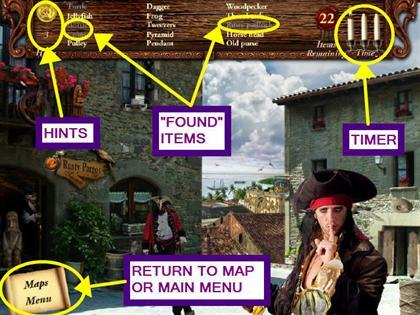 The Map – Locate the hidden objects listed in the upper banner. 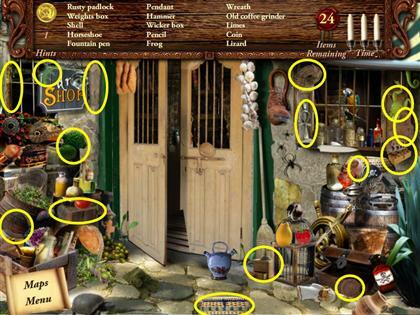 The Barber Shop – Locate the hidden objects listed in the upper banner. 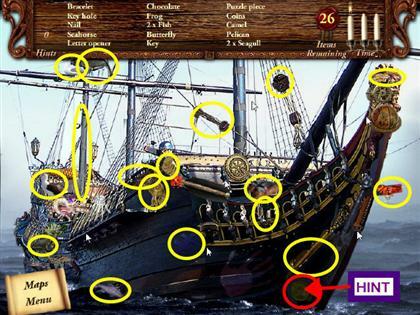 The Deck – Locate the hidden objects listed in the upper banner. 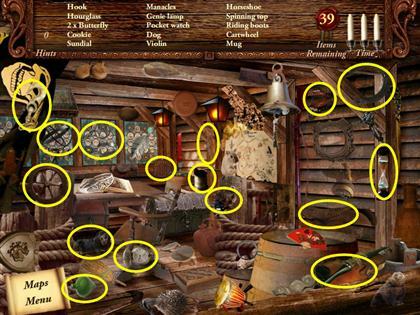 The Crew Sleeping Quarters – Locate the hidden objects listed in the upper banner. 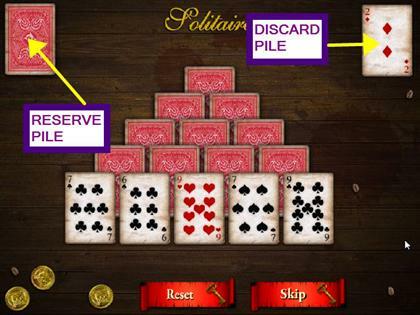 The object of this solitaire style mini-game is to remove all the cards from the pyramid by playing them on the discard pile in the upper right corner. You may only play a card that is one higher or lower in number. 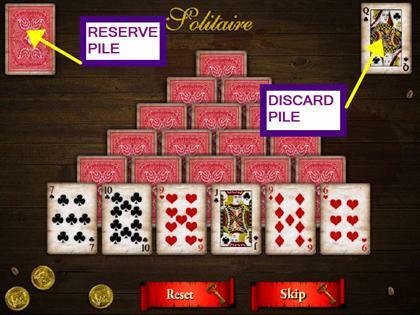 Kings can be played on Queens or Aces; Aces may be played on Kings or Twos. If no cards are playable, turn a card over in the reserve pile, located in the upper left corner. You can restart or skip the mini-game at anytime. 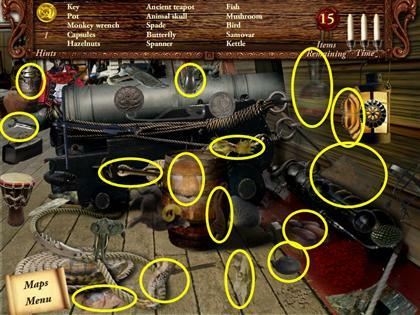 The Fortress – Locate the hidden objects listed in the upper banner. 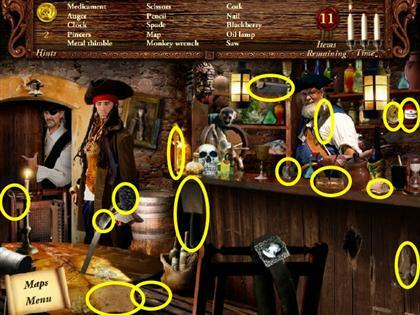 Rocky Bay – Locate the hidden objects listed in the upper banner. 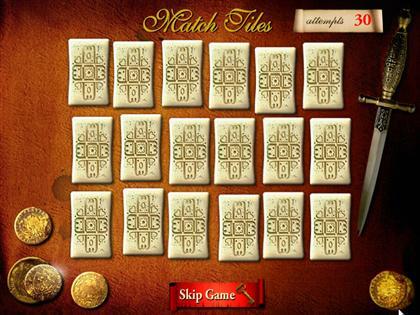 The object of this memory mini-game is to match pairs of tile to remove them from the board. 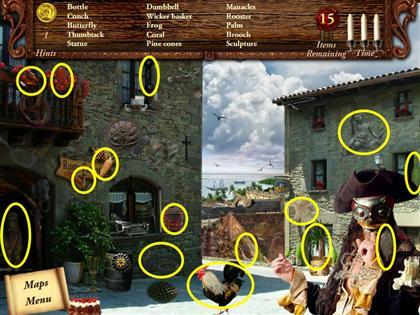 His House Front – Locate the hidden objects listed in the upper banner. 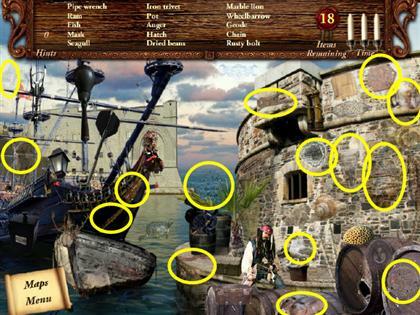 The Battle – Locate the hidden objects listed in the upper banner. 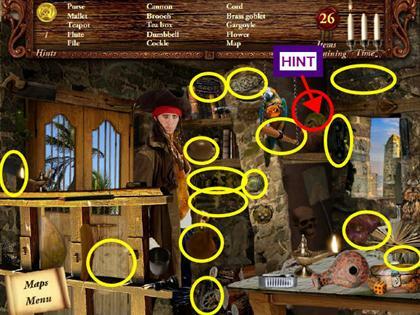 You have just completed Lost Secrets: Caribbean Explorer, Secrets of the Sea!